I’m not sure exactly when it happened, but sometime during our years in Southern California I started absolutely loving sandwiches. Ironically, it may have been in part due to the fact that I was no longer back home. Shrimp salad isn’t really a thing out there. And it took me a while to find a place that actually carried and served corned beef! 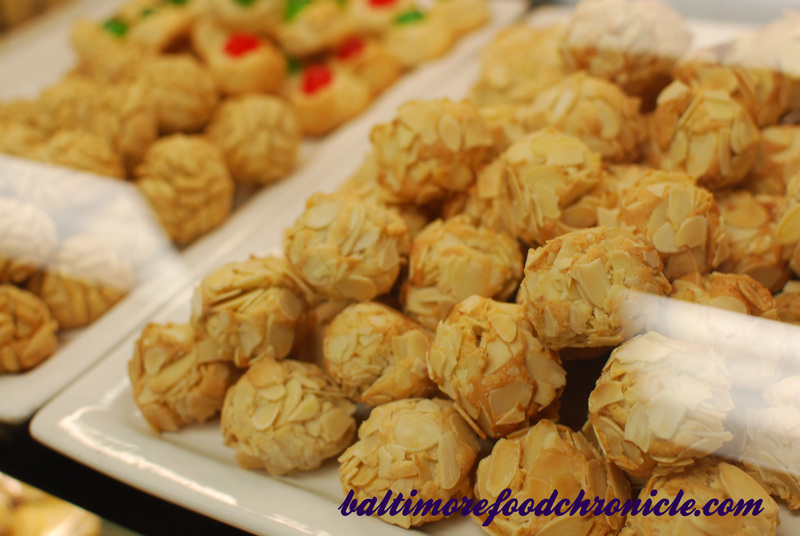 As we all know, these are Baltimore staples, readily found at any corner grocery store or deli. Also, I don’t know why but there is no General Tso’s Chicken or “lo mein”. But in true Southern California fashion, they do have huge and incredibly awesome mashed up sandwiches. Home of the French Dip, Pastrami Dip and California Burrito, you can find huge sandwiches truly overstuffed with meats, french fries, cole slaw and anything else you can think of. 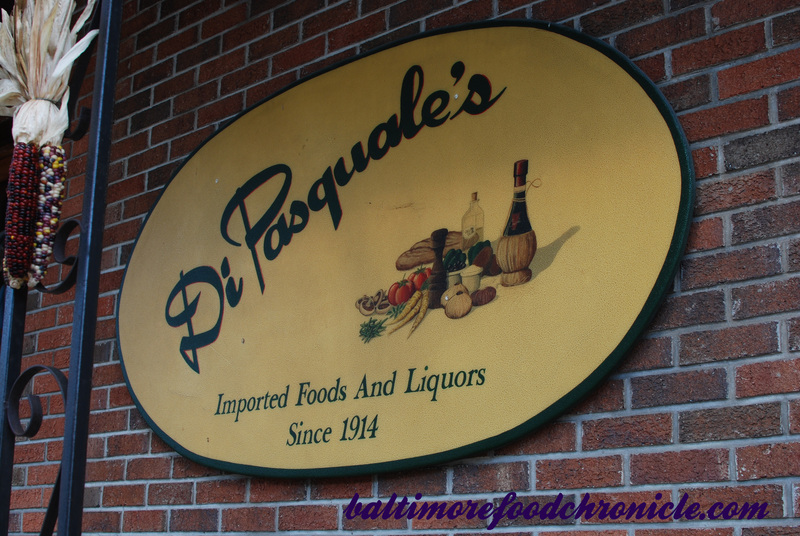 Thankfully, Di Pasquale’s Italian Marketplace serves incredibly huge and delicious sandwich concoctions for our own city of Baltimore. When I was handed my Homemade Meatball sandwich it literally felt like a warm newborn baby wrapped up in a blanket. I’m a NICU nurse, so believe me I’m very serious. In fact, I know for sure it was larger than a lot of the patients I take care of! 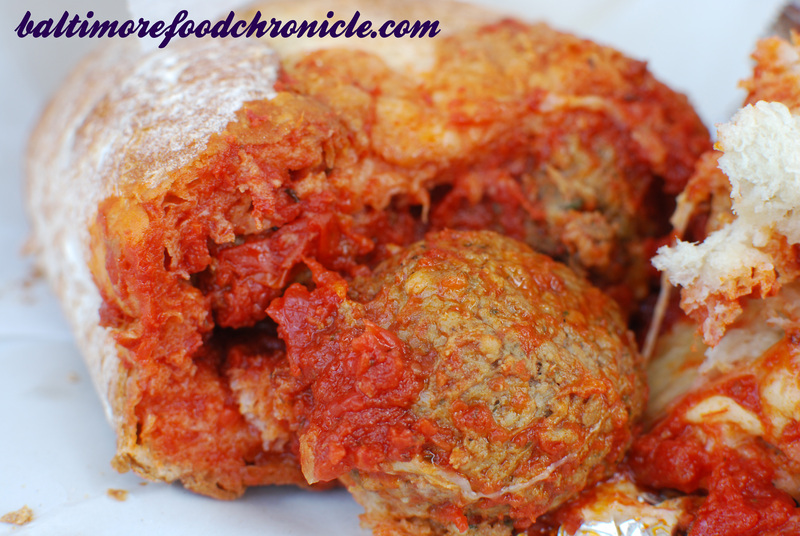 It was a half loaf of fresh Italian bread with a crunchy outer crust and doughy inside that had been carved out to stuff tons of huge, steaming hot meatballs in. 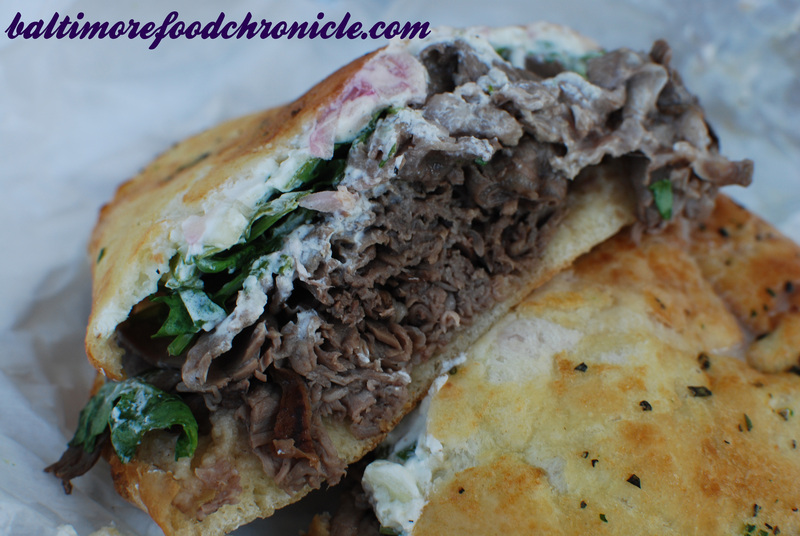 Their signature Lamborghini is savory thin sliced lamb, with arugula, yogurt and red onion on a freshly baked ciabatta. 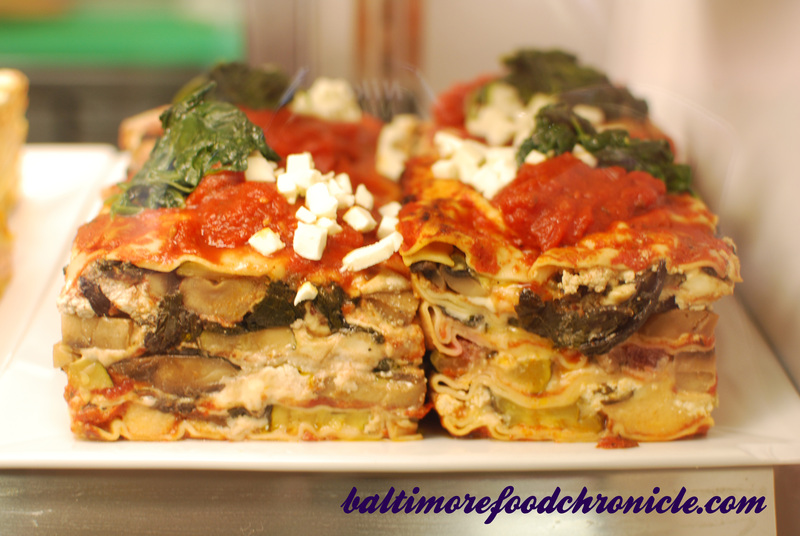 The flavor was both authentically Italian and infused Mediterranean. 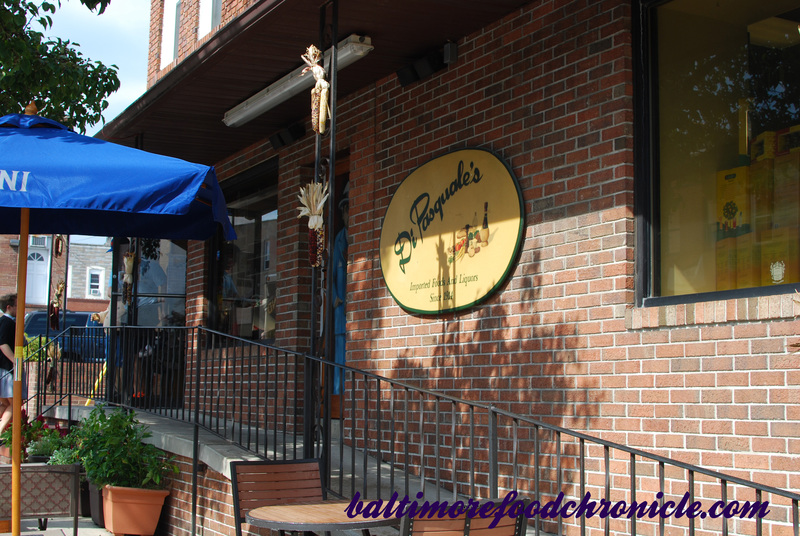 And the reason I ventured out to the Highlandtown market, The Real Italian is their specialty. 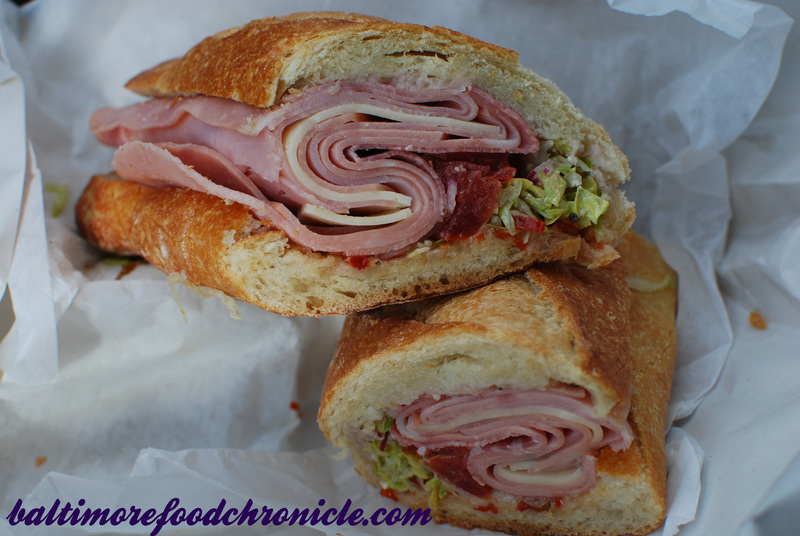 Featured on Diner’s Drive-Ins & Dives, this bubba with everything includes salami, ham, mortadella, capicola, provolone, olive oil & vinegar, grated cheeses & spices, lettuce, tomatos, onions & mild hots! 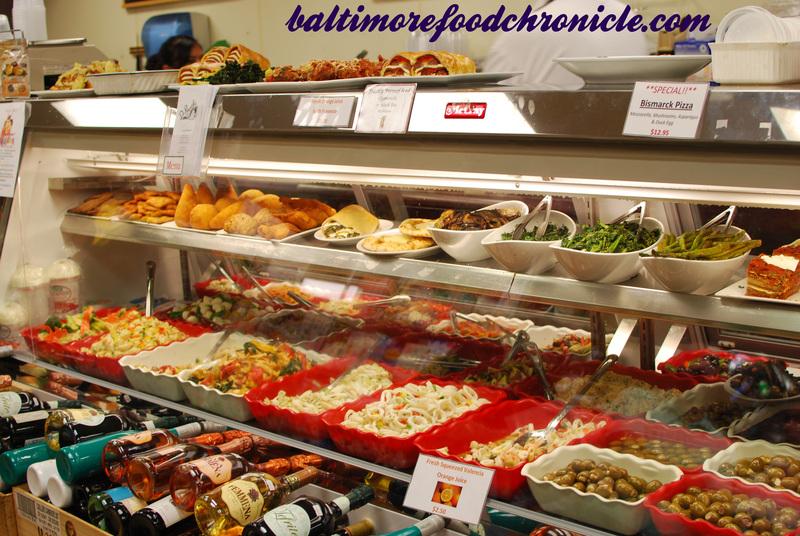 The market filled up quickly during the lunch rush, but the staff were helpful and patient. 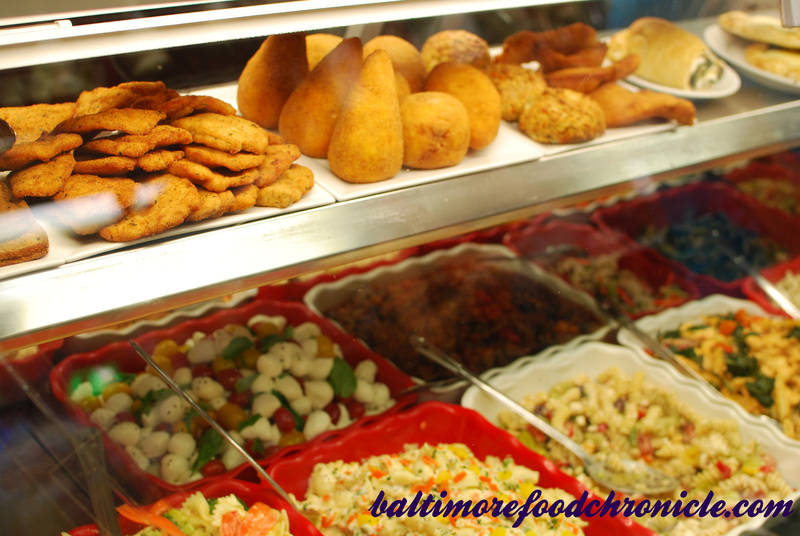 With our long history of Italian markets & delis here in Baltimore there are lots of delicious options to choose from. 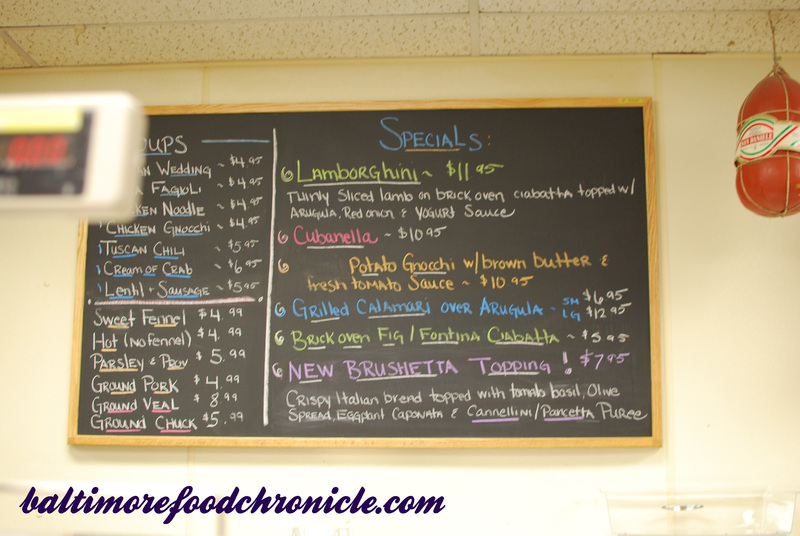 But I think I just found a new favorite spot to satisfy my sandwich cravings! 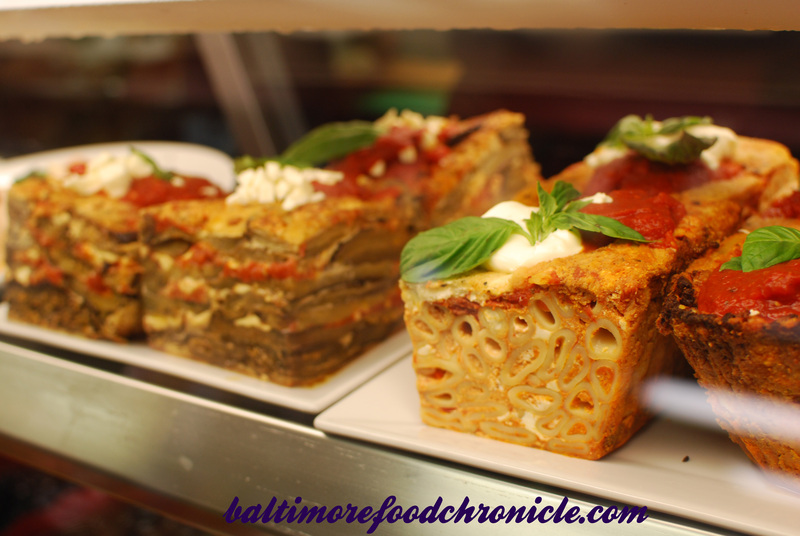 Check out their wide variety of both hot and cold offerings, as well as a full blown Italian market complete with mementos of Italy.